DISODIUM PHOSPHATE MANUFACTURER, SUPPLIER, AND EXPORTER IN MUMBAI-INDIA. 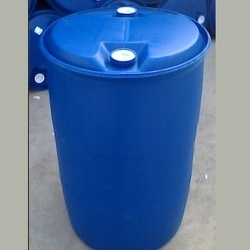 AVAILABLE BOTH IN ANHYDROUS AND CRYSTAL FORM WITH PURE AND INDUSTRIAL GRADE.The Di Sodium Phosphate also known as Sodium Phosphate Di Basic, Di Sodium Hydrogen Phosphate, Di Sodium Hydrogen Orthophosphate is sodium salt of phosphoric acid and occurs as a white powder which is highly water soluble and hygroscopic. Di-sodium Phosphate is obtained when a solution of phosphoric acid is reacted with caustic soda, until the higher PH is obtained. 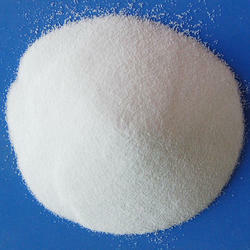 We are manufacturers and suppliers of high-grade Di Basic Sodium Phosphate (Disodium Phosphate). The Di Sodium Phosphate is a sodium salt of phosphoric acid and occurs as a white powder which is highly water soluble and hygroscopic. Di Sodium Phosphate is used as a food enhancer to quicken cooking time; it is used along with trisodium phosphate in boilers; in the medical field, it is used as a laxative. The product can be obtained from us in required quantities at reasonable prices. 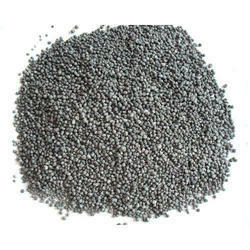 We are manufacturers and suppliers of high-grade Di-Sodium Phosphate. The Di Sodium Phosphate is a sodium salt of phosphoric acid and occurs as a white powder which is highly water soluble and hygroscopic. We are manufacturers and suppliers of high-grade Pure Di - Sodium Phosphate Anhydrous (Disodium Phosphate). The Di Sodium Phosphate is a sodium salt of phosphoric acid and occurs as a white powder which is highly water soluble and hygroscopic. Di-Sodium Phosphate is used as a food enhancer to quicken cooking time; it is used along with trisodium phosphate in boilers; in the medical field, it is used as a laxative. The product can be obtained from us in required quantities at reasonable prices. 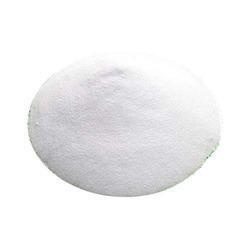 We are manufacturers and suppliers of high-grade Sodium Phosphate Di Basic . 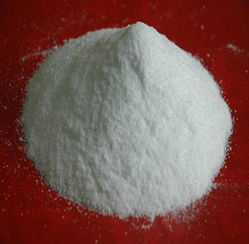 The Sodium Phosphate Di Basic is a sodium salt of phosphoric acid and occurs as a white powder which is highly water soluble and hygroscopic. Sodium Phosphate Di Basic is used as a food enhancer to quicken cooking time; it is used along with trisodium phosphate in boilers; in the medical field, it is used as a laxative. The product can be obtained from us in required quantities at reasonable prices. We are manufacturers and suppliers of high-grade Disodium Phosphate Powder. The Di Sodium Phosphate is a sodium salt of phosphoric acid and occurs as a white powder which is highly water soluble and hygroscopic. We are manufacturers and suppliers of high-grade Sodium Dihydrogen Phosphate Dihydrate . 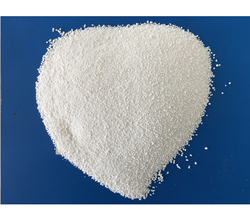 The Sodium Phosphate Di Basic is a sodium salt of phosphoric acid and occurs as a white powder which is highly water soluble and hygroscopic. Sodium Dihydrogen Phosphate Dihydrate is used as a food enhancer to quicken cooking time; it is used along with trisodium phosphate in boilers; in the medical field, it is used as a laxative. The product can be obtained from us in required quantities at reasonable prices. Di Sodium Hydrogen Phosphate is used as a food enhancer to quicken cooking time; it is used along with trisodium phosphate in boilers; in the medical field, it is used as a laxative. The product can be obtained from us in required quantities at reasonable prices. We are manufacturers and suppliers of high-grade Di Sodium Hydrogen Ortho Phosphate. 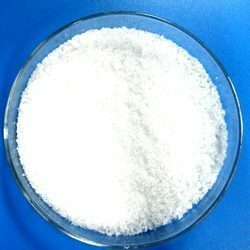 The Di Sodium Hydrogen Ortho Phosphate is a sodium salt of phosphoric acid and occurs as a white powder which is highly water soluble and hygroscopic. Di Sodium Hydrogen Ortho Phosphate is used as a food enhancer to quicken cooking time; it is used along with trisodium phosphate in boilers; in the medical field, it is used as a laxative. The product can be obtained from us in required quantities at reasonable prices. Leveraging on our enormous industry practice, we are betrothed in offering to our customers an extensive series of Di Sodium Phosphate Anhydrous. We offer premium quality Ferrous Sulphate powder to our clients. The Ferrous Sulphate is offered in custom requirements at reasonable rates and occurs as blue/green or white crystals. Also, the product is shipped promptly without delays. Ferrous Sulphate has many wide applications is used as a nutritional supplement, colorant, in horticulture, as a protective anti-corrosion coating, in gold refining, in water purification and in the treatment of wooden panels. We offer premium quality Ferrous Sulphate crystal to our clients. 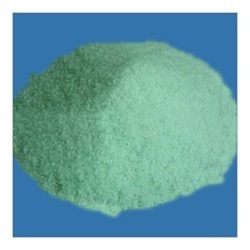 The Ferrous Sulphate is offered in custom requirements at reasonable rates and occurs as blue/green or white crystals. Also, the product is shipped promptly without delays. 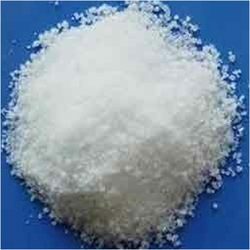 We are the manufacturer of EDTA Dipotassium salt in India. We are a genuine Manufacturer of EDTA Dipotassium salt having factory located in Maharashtra, India. We manufacture and supply our chemicals to Pharma Companies and Overseas. Consistent quality, reliable conduct and dependability are the hallmarks of our company. We are the reliable manufacturer and supplier of high-grade mono zinc sulphate. This mono zinc sulphate is reasonably priced and can be obtained from us in customer requirements.